Are girls wired not to win? 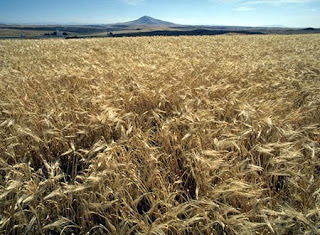 Dependence on cereal grains such as barley influenced recent human evolution. Physical aggression in children comes from their genes and the environment in which they grow up. Social aggression, such as spreading rumors or ignoring other children, has less to do with genetic factors and more with environmental factors. One important environmental influence on children is friends. But while past studies have shown an association between physically aggressive friends and increased physical aggression in children and teens, few studies have looked at how socially aggressive friends affect children's social aggression, nor have they considered possible gene-environment transactions in these behaviors. Is political orientation transmitted genetically? As reported in this week's issue of New Scientist magazine, research by Rice University professor of political science John Alford indicates that what is on one's mind about politics may be influenced by how people are wired genetically. Alford, who has researched this topic for a number of years, and his team analyzed data from political opinions of more than 12,000 twins in the United States and supplemented it with findings from twins in Australia. Alford found that identical twins were more likely to agree on political issues than were fraternal twins. On the issue of property taxes, for example, an astounding four-fifths of identical twins shared the same opinion, while only two-thirds of fraternal twins agreed.